Got A Fathers Day Card To Share With Us? 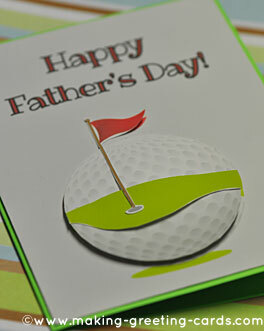 Want to share your Fathers Day card with visitors to this cardmaking website? Here's where you can do so by uploading it here and explaining in detail the steps you took to achieve that special look. Yes! Tell us how you make it - what materials you use on this special card you made for your dad. Please explain step-by-step how you make the Father's day card. What cardmaking technique you used and what embellishments or stuff were added to make the card so special for Father's Day. Let me repeat. Please share in detail so that we can all learn from each other. 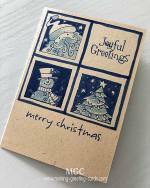 Lots of visitors to this cardmaking website are new to making greeting cards so your sharing would be a great help to them in their initial card making endeavours. You can upload as many images of your dad's card as you like from different angles. Please note that if all you did is upload an image without clear detail explanation, your post will not be added here. 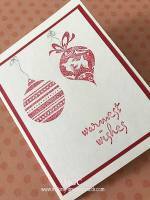 What cardmaking supplies you used for this card? How did you make it? Any special technique used? Is there a color theme used? Why? Dad's favourite colors? 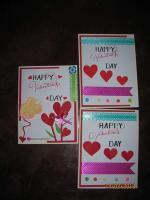 You can also follow the format I used on all the cardmaking projects on this website. Share from your heart and have fun. 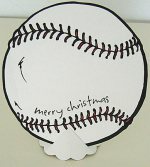 Add a photo of your homemade card. Keep photo resolution to 72 and size them to about 560 pixels wide . Join the fun! Build your own Fathers Day Card page here. Adding your picture is easy. Click the button and find it on your computer. Then select it.